The BXT is an extension module which turns the Kii THREE into a veritable floor standing loudspeaker with 16 additional drivers. The Kii THREE BXT System is absolutely unique as it combines a line source with horizontal directivity control! The BXT makes full use of the Kii THREEs technology and adds more frequency range and SPL to the game while still being a cardioid system that, despite its size, does not interact with the room. Astoundingly enough small rooms profit a lot from the line source concept. Please note that existing Kii THREEs can be upgraded at any time with the BXTs giving you full investment security. Also the Kii THREEs are still transportable and can be run by themselves just by detaching them from the BXT. The Kii THREEs will detect the presence of a BXT and automatically adjust the software accordingly. This marvelous color perfectly suits wooden interiour designs. Combine all standard and custom colors to your stunning individual Kii THREE BXT System. This beautiful setup in our Kii Swiss store in Olten is now on permanent demo. 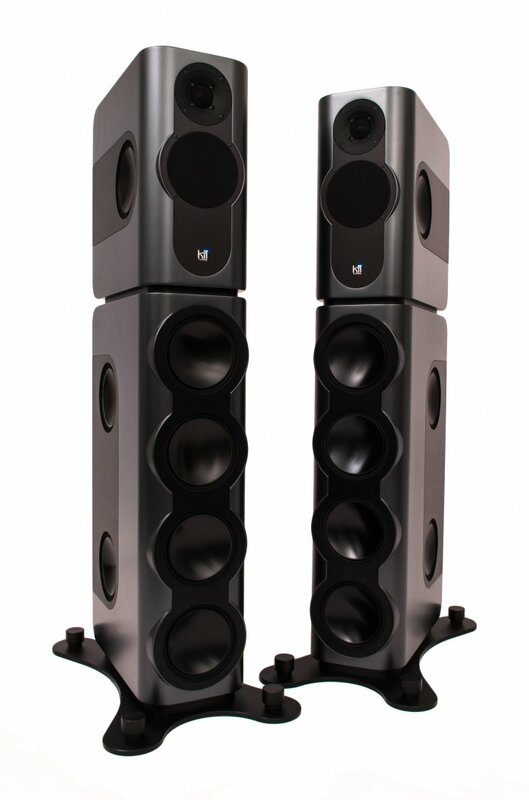 Full-size floorstanding DSP controlled monitor speaker system. 12 x 6.5” woofer, 1 x 5” midrange, 1 x 1” waveguided tweeter. Amplification: full custom class D, 250W per drive unit, arranged in 6 groups. Watch how fast and easy the assembly of the Kii THREE onto a BXT module is. Please note that this process is reversable so you can take the Kii THREEs off and use them in a different space.